$59.00 Ships within 24 hours. Every woman has an innate need to always look attractive, and since breasts are her most attractive body part, she always gives them a special attention. The good news is that every woman could be that perfect one, sensual and desired, confident and attractive. This used to be exclusively reserved to celebrities and models some years ago but scientific progress has made things much easier and affordable by all. It is now comfortably and easily achievable with BreastNat™. It is about a unique experience of breast enhancement that is Natural, Safe and Stable. Both breasts size and firmness do matter and their effect is not only on men, the woman herself enjoys confidence and well-being as long as she knows her breasts are perfectly shaped. This is why million of women need BreastNat™ to reach a higher level of perfection and self-esteem. In fact, what is special with BreastNat™ is the absence of any risk or side effect, it is made of pure herbal extracts that preserve the breasts health and respect their natural delicate aspect. It brings no harm to the tissues, acts gently on the skin and just helps re-igniting the natural size enhancement process every woman experiences during puberty since it is proven to be possible at any age. Women using BreastNat™ experience amazing improvements in both firmness and fullness of their breasts very comfortably. The quality results achieved by BreastNat™ are continuously controlled through surveys conducted on its users who have always expressed full satisfaction. BreastNat™ provides phytoestrogens which are natural and non-hormonal plant estrogens that stimulate the body to produce estrogen just the same way as during puberty. At that stage of life, a woman's breast size keeps increasing because of the high amount of estrogen produced by the body and permitting a continuous growth of breast tissues. That breast enhancement natural process automatically stops after puberty because of the steadiness the woman's body development reaches in adulthood, but science has revealed that the body can be easily stimulated to produce more estrogen again at any age, allowing any woman to get fuller and firmer breasts at any stage of her life. BreastNat™ includes a unique formula of finest ingredients like Tinospora cordifolia and Withania somnifera providing a rich amount of phytoestrogens and the body responds to them perfectly. Note: BreastNat™ ingredients are known to nourish solely and exclusively the breast tissues. In other words, breasts are the only body part that increases with the usage of BreastNat™. Take 1 capsule twice a day with a glass of water, and especially for the first month. For most effective results, be disciplined and do not miss any dose. You can notice your breasts becoming bigger and firmer, within the first few weeks. Each bottle of BreastNat™contains 60 capsules and is a 1 month supply. We believe that a product takes its merit from the quality of its ingredients and BreastNat™ composition is carefully selected. It combines efficient ingredients with a studied dosage to guarantee the best of both Efficiency and Safety. BreastNat™ proudly stands among the world's best breast enhancing products, and customers' reorders give an additional evidence of the product's rewarding results. BreastNat™ is SAFE, manufactured under strict quality control guidelines and following the International Manufacturing Standards. It contains Tinsporine, Tinosporide, Tinosporidine, Cordifolide, Cordifol, Heptacosanol, Columbin & ß-sitosterol. It is also known as Giloya, it is principally used as a Rasayan to improve the immune system and the body's resistance power. It is also known for its use in dyspepsia, fever and urinary disease. 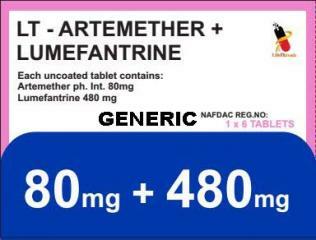 It contains alkaloids somnine, somniferine, withanine, tropine, pseudotropine, and anaferine. It prevents early aging and rejuvenates whole body. It is valued medicinally to enhance the sexual powers and long lasting endurance. It also stimulates immune system and used in muscle weaknesses. It contains a- and ß- vetivone, Zizanal and Epizizizanal. It is also known as Ushir, it is principally used as a stimulant, refrigerant and antibacterial; it removes excess heat from the body and gives cooling and soothing effect. It contains Tannins, Alkaloids, Minerals and Vitamins. It is also known as Badd, it works for female health related problems in various medications. It maintains the temperature of the body and also works as aphrodisiac. It contains ß-sitosterol, 2-hydroxy-4-methoxybenzaldehyde, a - amyrin, ß - amyrin and its acetate, hexatriacontane, lupeol octacosonoate, lupeol and its acetate. It is also known as Anantamul, it is principally used as alterative, demulcent, diaphoretic, diuretic and blood purifier. It also works as an agent that tones, strengthens and revitalizes organs or the entire body giving a sensation of well-being. It contains Cyperine as a chief constituent. It is also known as Nagarmotha, it is used in increasing size of the breast since ancient years. It helps in maintaining body temperature. 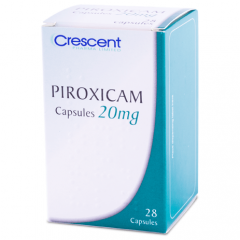 It is also recommended for its use as a tonic, diuretic, emmenogogue, diaphoretic and stimulant in herbal medications. It contains saponins, alkaloids, proteins, starch, tannins, mucilage & diosgenin. 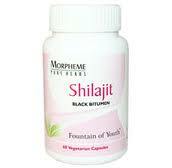 It is also known as Shatavari, it improves the health of breast tissues. It is renowned for its rejuvenating effect that maintains the temperature, strengthens and nourishes the tissues. Store BreastNat Capsules at room temperature.